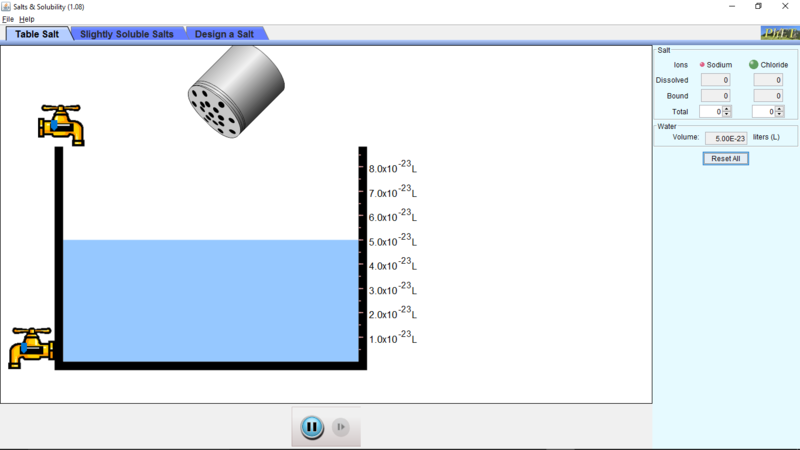 The app I picked for this review was the Salt and Solubility from PhET. There are not very many options in the App, but it can help you understand solubility if you are a kinesthetic learner. To get a science app and review it. Will it help me with science? My dream is to understand solubility using this app. 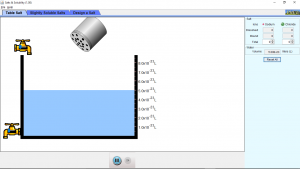 I went to https://phet.colorado.edu because they are a reliable resource and I looked for an app that could help me understand solubility. You start by shaking the can at the top by dragging it up and down with the mouse. The salt molecules are at the top, on the right side, the app says that the green particles are chloride, and the red particles are sodium, which both make sodium chloride. When the particles hit the water, the salt molecules break into individual pieces, meaning they have dissolved into the water. This is the reason salt is soo hard to see when you put it in the water, it is because the salt breaks up into tiny molecules that you cannot see. This app will help people learn solubility in science if they are struggling to understand it. This app is very useful for kinesthetic learners as it will show them the process of solubility and let them control the game.